Doral, FL – March 17, 2017 – One of South Florida’s leading real estate developers, Shoma Group along with The Related Group celebrated the grand opening of CityPlace Doral with a ribbon cutting ceremony. 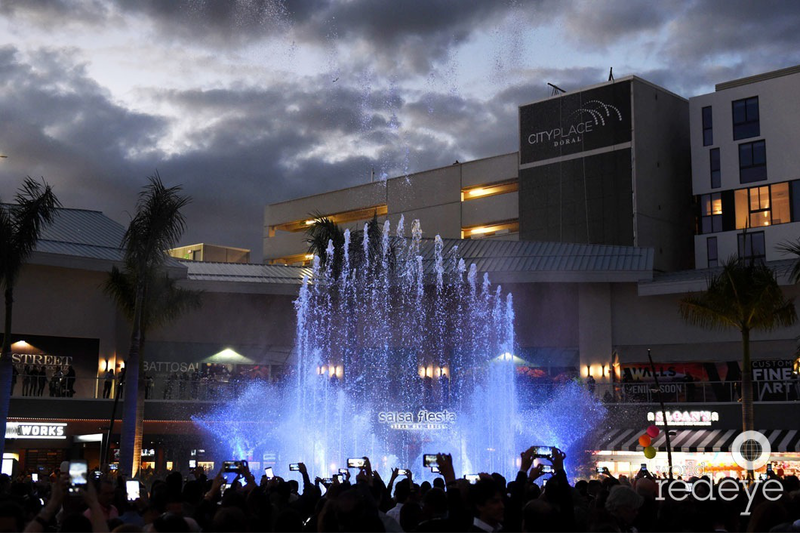 Elected officials from Miami-Dade County and the City of Doral, including Mayor Carlos Gimenez and Juan Carlos Bermudez, joined Shoma Group President Masoud Shojaee and Jorge Perez of Related to celebrate the newly constructed entertainment center. More than 2,000 guests were in attendance to experience the development’s amenities firsthand. Guests also enjoyed a unique tasting event of the new development’s restaurants, including Angelo Elia Pizza Bar & Tapas, Brimstone Woodfire Grill and Rusty Bucket Restaurant & Tavern, among others. A lively performance by the Gipsy Kings followed the ribbon cutting ceremony. Developed by Shoma Group and The Related Group, CityPlace Doral is a master-planned center for upscale living, dining, entertainment and shopping. Nestled in the heart of Doral, the new development features more than 40 retailers and restaurants along expansive pedestrian sidewalks, providing visitors and residents with the ideal urban shopping experience. Designed by Arquitectonica, CityPlace Doral features 250,000 square feet of retail space and more than 700 luxury residences for rent. As Doral’s newest development, CityPlace Doral will also debut a CinéBistro Theatre – the premier “dinner and a movie” experience developed by Cobb Theatres – by winter of 2017. Entertainment offerings also include an Improv Comedy Club and Kings America, a 20,000-square-foot venue with bowling lanes, a full-service restaurant and bar, as well as game tables. Visitors can also visit any of the development’s first-class restaurants, such as Angelo Elia Pizza Bar & Tapas, Brimstone Woodfire Grill and Rusty Bucket Restaurant & Tavern, among others.